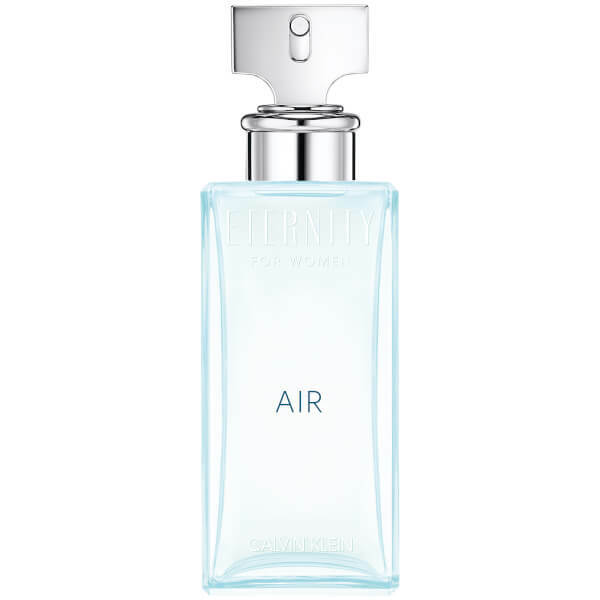 Discover the Calvin Klein Eternity Air for Woman Eau de Parfum; a soft, airy fragrance inspired by the fresh sky and cool, crisp atmospheres. Opening with sparkling Grapefruit, Blackcurrant and ozonic accords, the elegant perfume is enhanced by floral notes of Peony and Lily-of-the-Valley, before settling on Cedar, Musk and Ambergris. The fruity-floral scent is perfect for everyday wear. Top Notes: Grapefruit, Blackcurrant, Ozonic Accords. Heart Notes: Pear, Peony, Lily-of-the-Valley. Spray onto your skin, focusing on the warm areas of your body: the inside of your wrists and behind your knees.